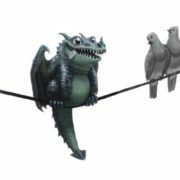 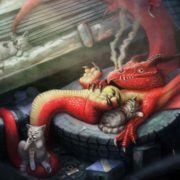 A dragon is awesome, reptilelike beast. 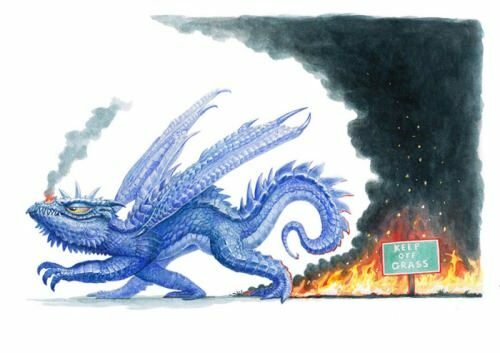 It appears in the folklore of nearly every country. 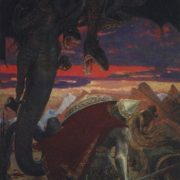 Dragons prowled the earth, devoured hapless villagers, received periodic sacrifices of young maidens, spread terror into the hearts of all, and were thwarted only by courageous knights. 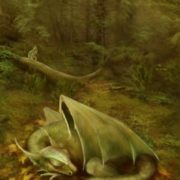 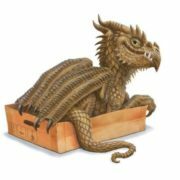 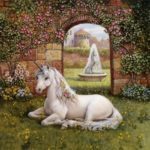 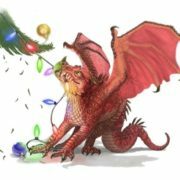 For years, children have been read tales, seen motion pictures, and heard songs of reluctant dragons, kindly dragons, affectionate dragons, magic dragons, and timid dragons. 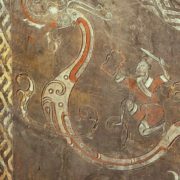 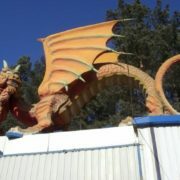 The image of the dragon in world mythology appeared already during the Sumerian culture. 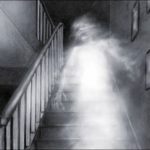 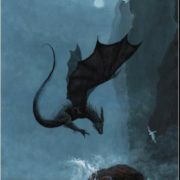 It’s hard to say what caused the birth of an amazing creature – whether something like that existed in fact, and then died out with dinosaurs and mastodons, or an ancient man wanted to connect heaven and earth, and then a mysterious beast emerged from the depths of the imagination. 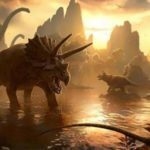 A few scientists hold the theory that a number of dinosaurs might have survived into the Age of Man. 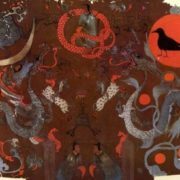 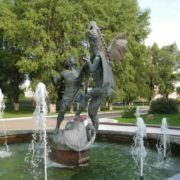 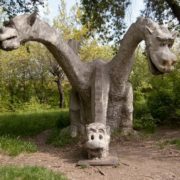 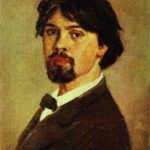 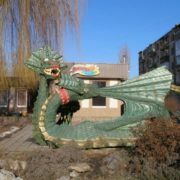 Many Russian tales of dragons (Zmey Gorynych) date from pagan times, but the creatures continued to be associated with Christian knights and legends and are still popularly believed to be the cause of many natural phenomena. 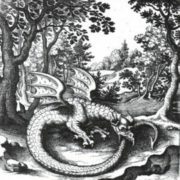 Eclipses of the sun or moon were taken to be caused by a dragon. 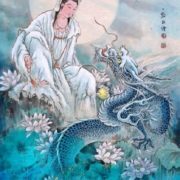 In Chinese mythology, the dragon is not a predator, on the contrary, it is kind, generous and powerful. 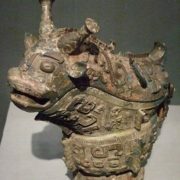 It is a symbol of the male origin (yang) and the Chinese nation as a whole. 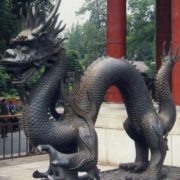 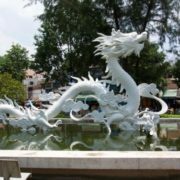 The Chinese emperors chose the dragon as their royal patron. 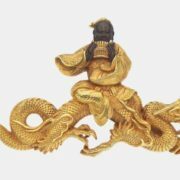 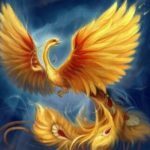 One of the Chinese myths tells us that the Yellow Emperor, the ancestor of all the Chinese, at the end of his life turned into a dragon and soared into heaven. 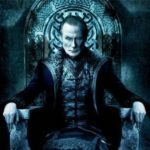 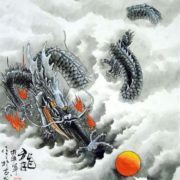 In addition, the real emperor should have a birthmark in the shape of a dragon, and the imperial throne of many dynasties was called the dragon’s throne. 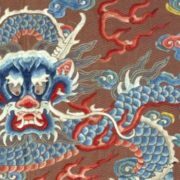 During the Qing Dynasty, the Chinese dragon decorated the state banner. 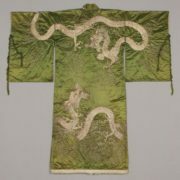 The Chinese dragon protects law and order, protects the imperial power and is therefore full of nobility and supernatural power. 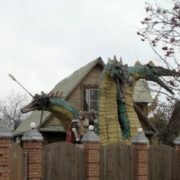 Dragons also known as guardians of treasures. 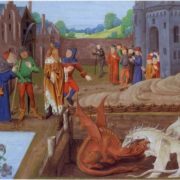 Many of them arranged a magnificent bed of gold and precious stones. 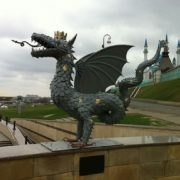 Exclusively all peoples believed that the dragons had magical abilities. 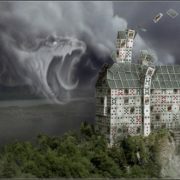 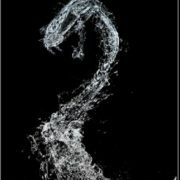 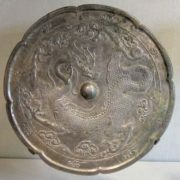 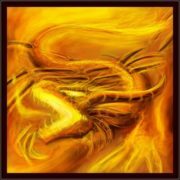 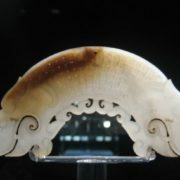 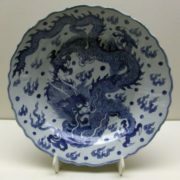 In Asian countries, it was believed that every dragon had an artifact, the Pearl of Thunder, inside the body. 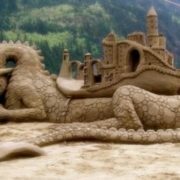 In Europe, people believed that powerful lizards were the strongest magicians. 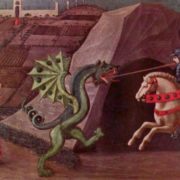 It was believed that the blood of a dragon added to wine helped a person to master the language of animals and birds, and if a warrior ate raw heart of a defeated dragon, he would become invulnerable in any battle. 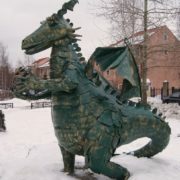 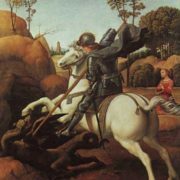 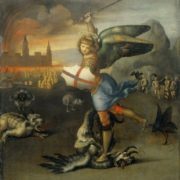 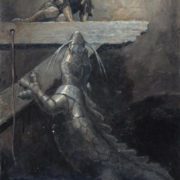 It is possible that this belief made the dragons the most desired prey for all European knights. 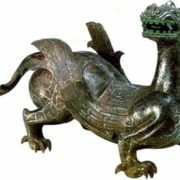 Ancient Celts worshiped dragons. 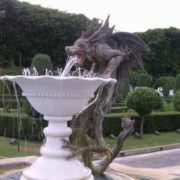 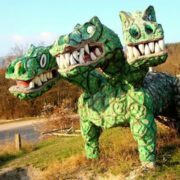 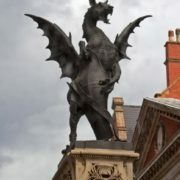 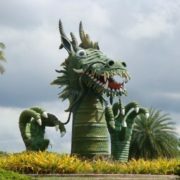 Celtic legends say that dragons are the keepers of age-old wisdom, which guarded the gates of heaven and the underworld. 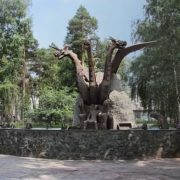 The Komodo dragon, giant lizard, attains a length of 10-12 feet. 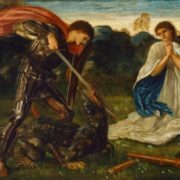 The Komodo presently resides in the East Indies, but in ancient times, it is possible that St. George and his fellow dragon-killers might have fought some unknown species of monster lizard in Europe and Asia. 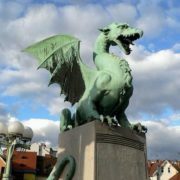 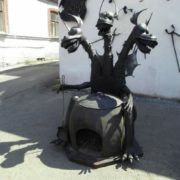 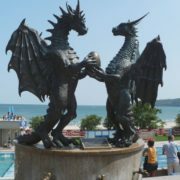 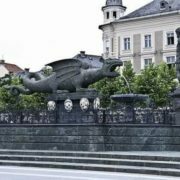 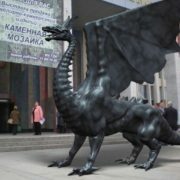 In the marketplace of the Austrian city of Klagenfurt, there is a statue of a giant killing a dragon. 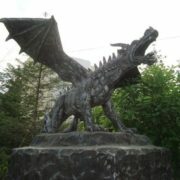 The dragon’s head has quite obviously been modeled on the skull of a woolly rhinoceros.